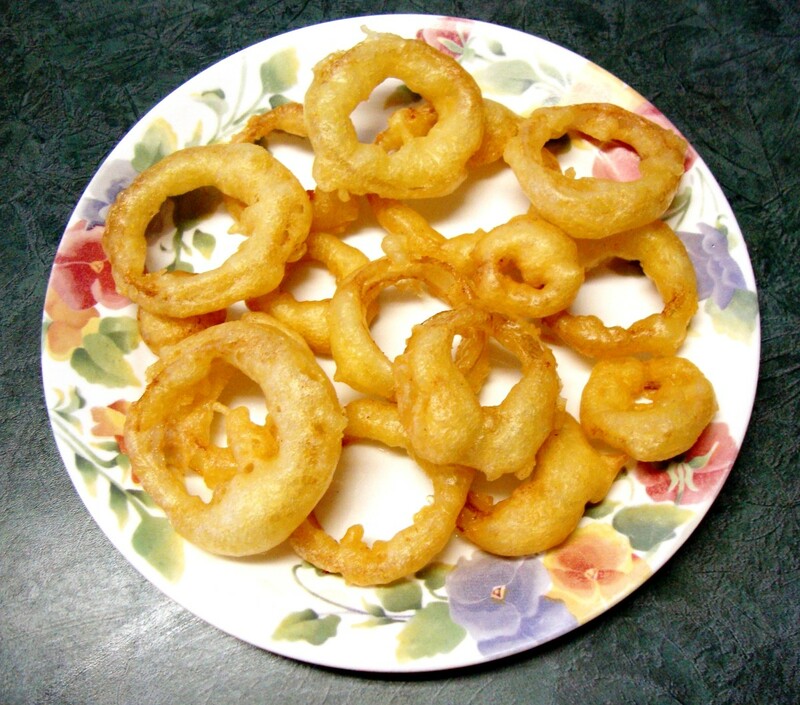 Onion rings are a restaurant favorite but they can be easily made from home and they don't take much time to make. 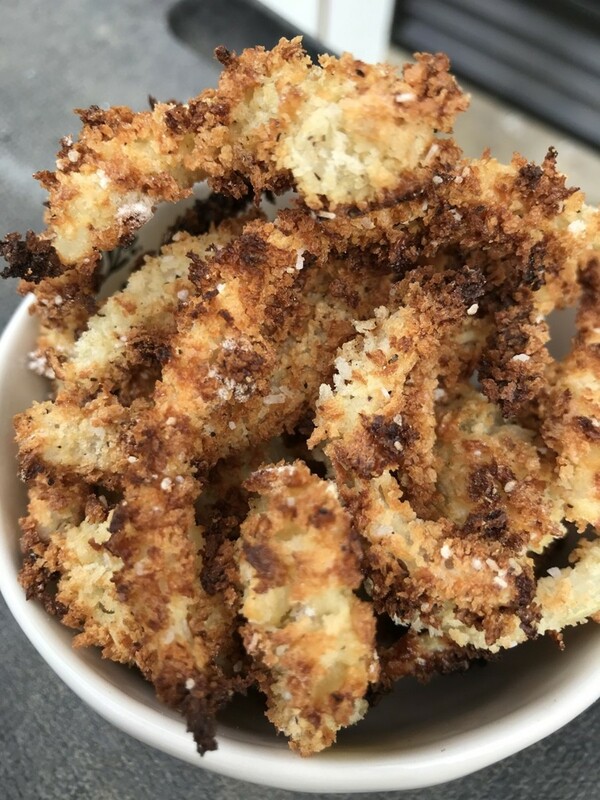 All you need are onions, something to fry them in, and a good recipe for batter that puffs up wonderfully as it cooks and turns into a delightfully crispy coating. But to some, puff batter seems a bit of mystery, a wonderful coating made by chefs and only found in restaurants--because after all, something that tastes so delicious must be difficult to make, right? Not at all. Surprisingly, batter can be made from a few simple ingredients that most people have in their home pantry. It is very easy to make and can be mixed up in seconds. While it takes just minutes to make onion rings and puff batter at home, it is important to follow the cooking tips in this article for the best results and it's equally important to pay close attention to the safety precautions when working with hot oil in the home kitchen. 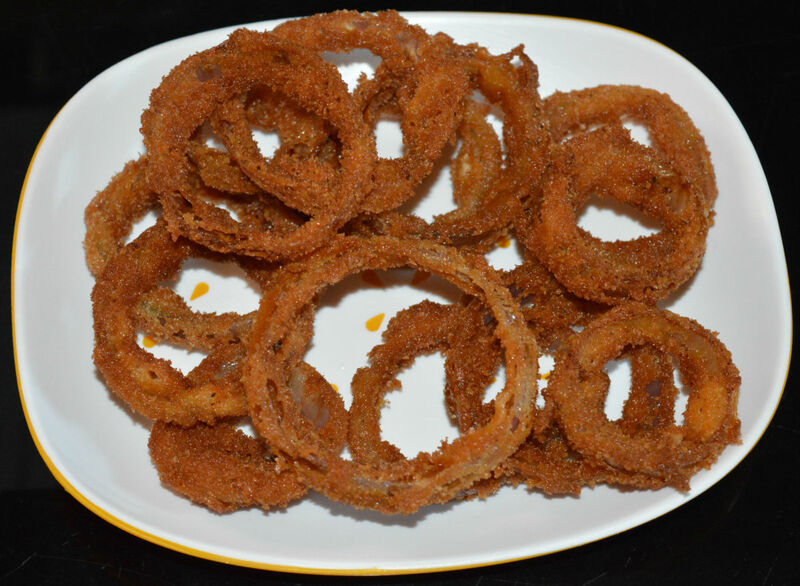 Have You Tried Making Homemade Onion Rings? A Snack or a Real Serving? Most people would agree that while they enjoy eating a plate of onion rings when dining out, there are never enough of them. I worked as a cook in a family restaurant and we were told to put about 8-10 onion rings on each plate. 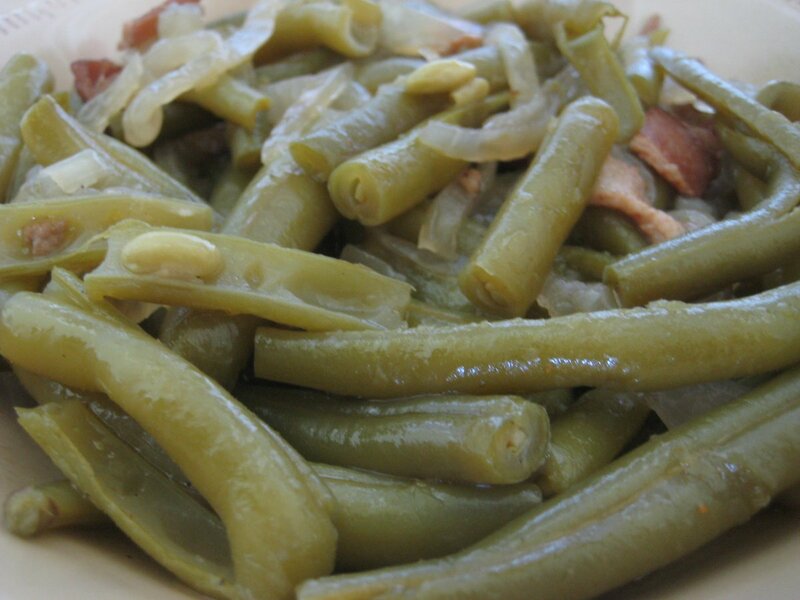 This is more like a side-dish and not what many would consider to be a real serving. Why Make Your Own Onion Rings? You don't have to go out. You don't have to spend any money. If you are short on groceries, this is one menu item that takes few ingredients to make. 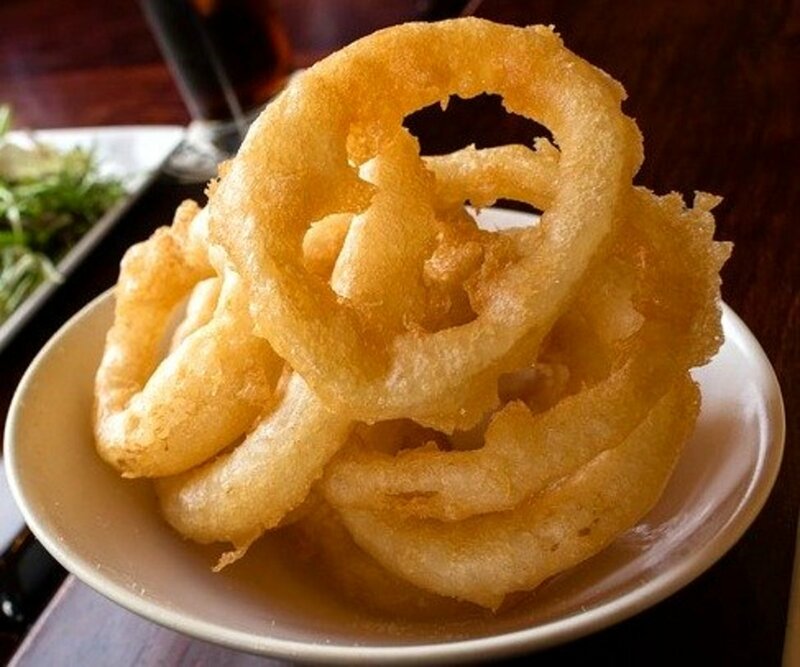 You can make a bigger serving of onion rings than you would get in a restaurant. 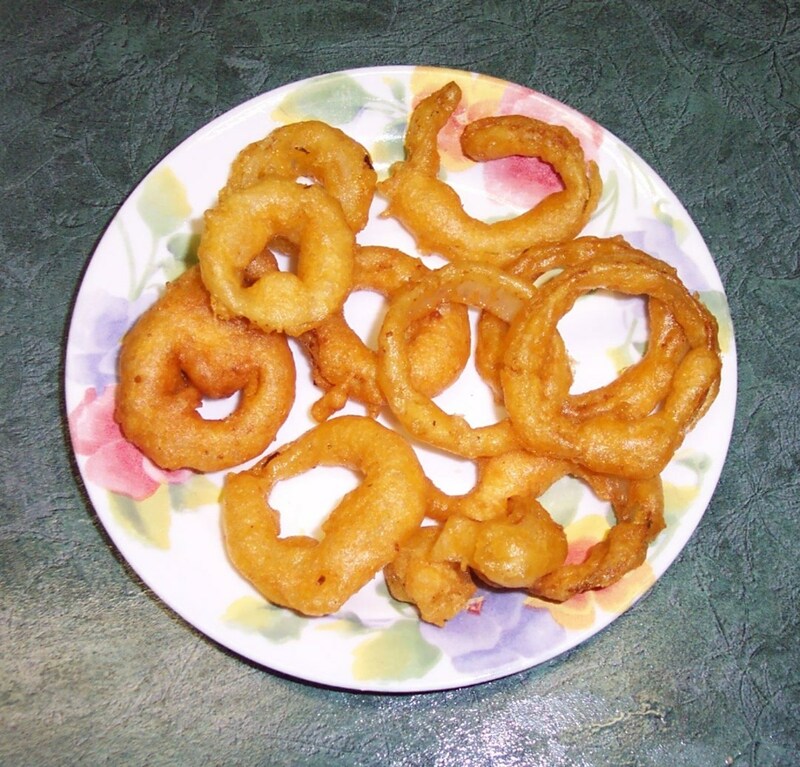 Onion rings can be made using a deep pot or a deep-fat fryer. • If using a pot on the stove, heat your oil on medium heat (dial should be around 6-8) NOT HIGH HEAT. • If using a deep-fat fryer, follow the instructions regarding temperature. I've found it's best to use a liquid oil, over using a hydrogenated fat. Why? 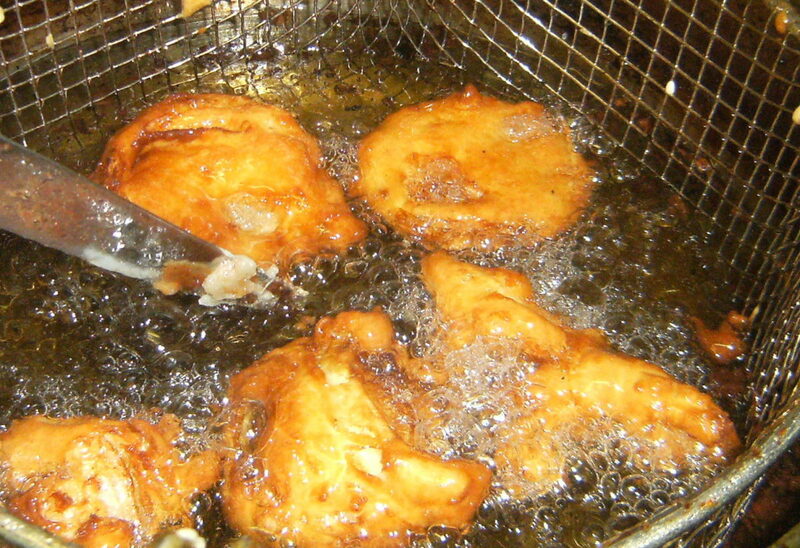 Shortening or lard adds to greasiness, which you don't want; whereas a liquid oil adds to the wonderful crispy texture. Shortening or lard work fine when cooking French fries but not as well when cooking onions rings coated with batter. While your oil is heating, combine ingredients for your batter. Note: You really don't have to measure, after you've made this batter a time or two. I find making a slightly thicker batter, creates more "puff" to your onion rings. 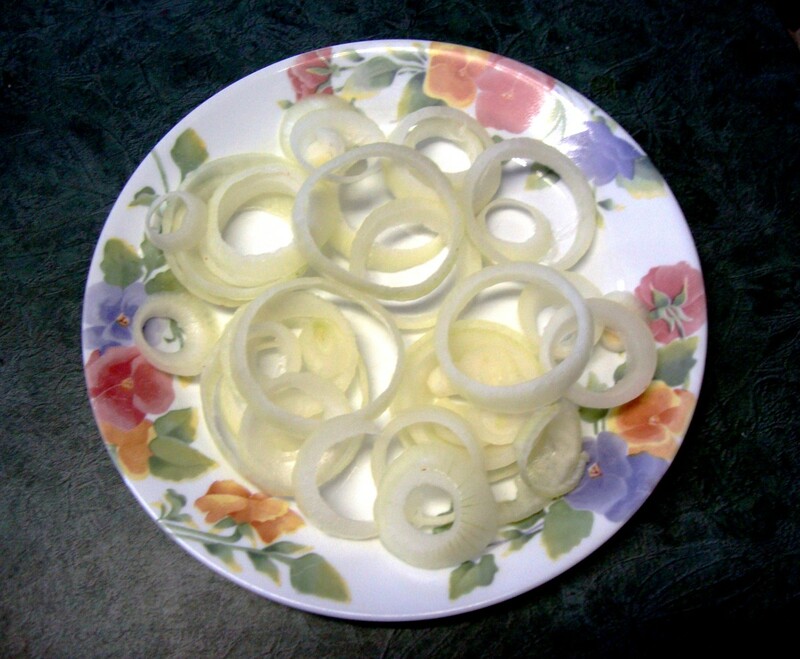 Slice medium onions 1/8-1/4" inch thick and gently pull apart the rings. 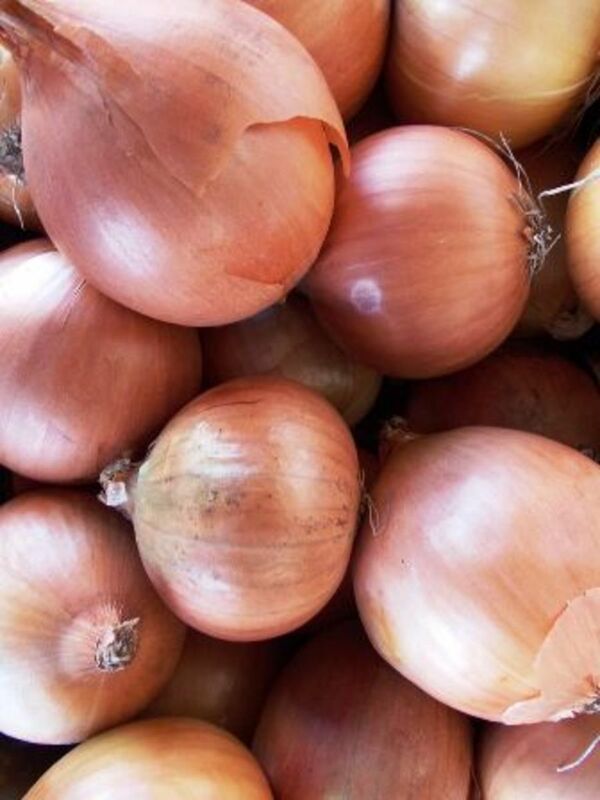 Slightly thicker onions have less of a tendency to break. Take care that rings don't snap when separating them. Add sliced onions to batter mixture and stir gently with a spoon. 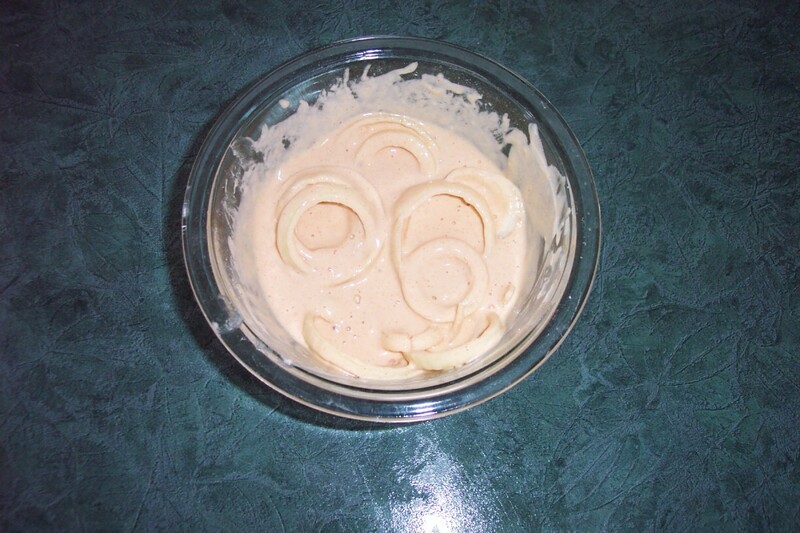 This is much faster than individually dipping each ring into the batter mixture. 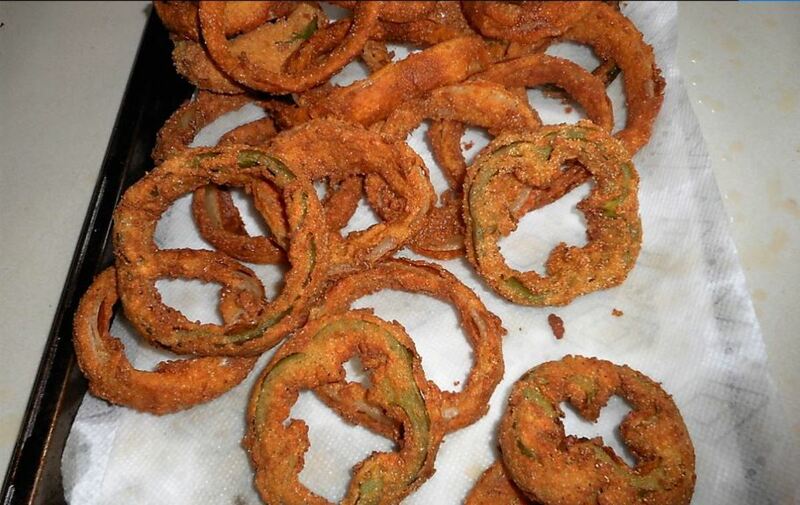 Make sure all onion rings are coated with batter before slipping each one into hot oil. To test your oil, drop in one coated onion ring and watch to see if it just sits or if it fries. What you are looking for is an onion ring that turns golden. If oil is too hot, your onion ring will cook too quickly and turn a dark brown. If necessary, adjust oil temperature. When the oil temperature is just right and your "tester" onion ring has cooked the way it should, you are ready to proceed. 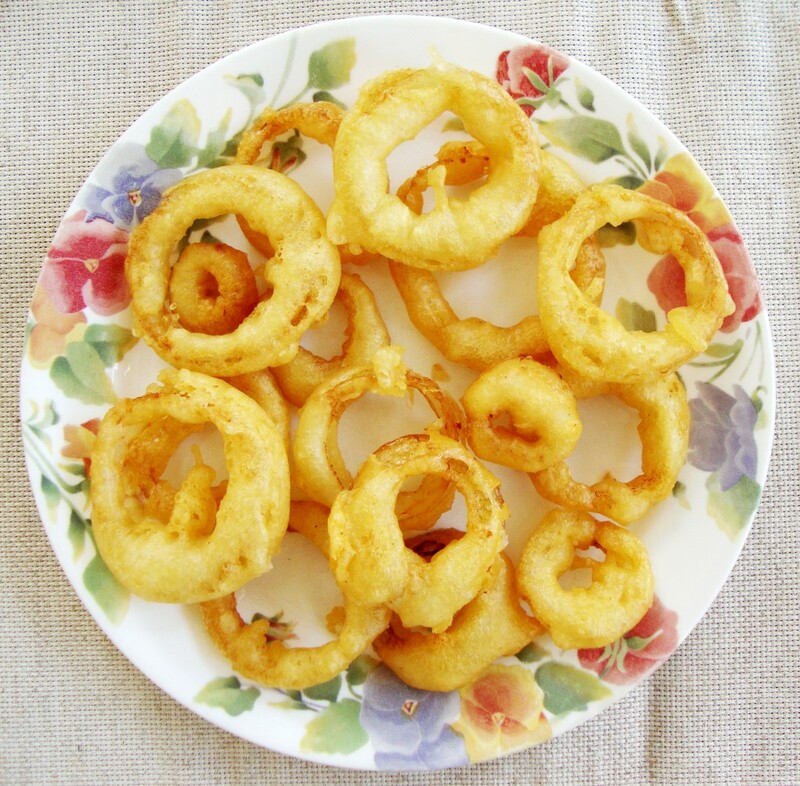 When fat is ready, gently drop in onion rings into pot one-by-one or place in fryer basket and lower into fryer. Use caution when lowering in rings, so as to avoid being splashed by hot fat. You want your fried onion rings to puff up and turn golden brown, not overcook. If they overcook, they will taste bitter. 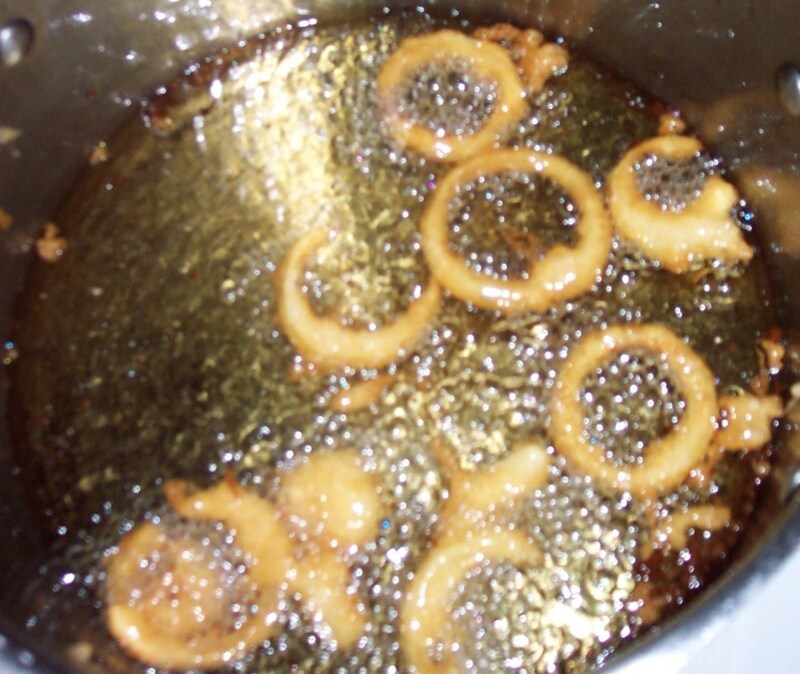 Make sure your onion rings are separated as they cook in the oil so they don't stick together. Turn them over so they cook evenly on both sides. Put a metal strainer over a bowl and place it nearby. 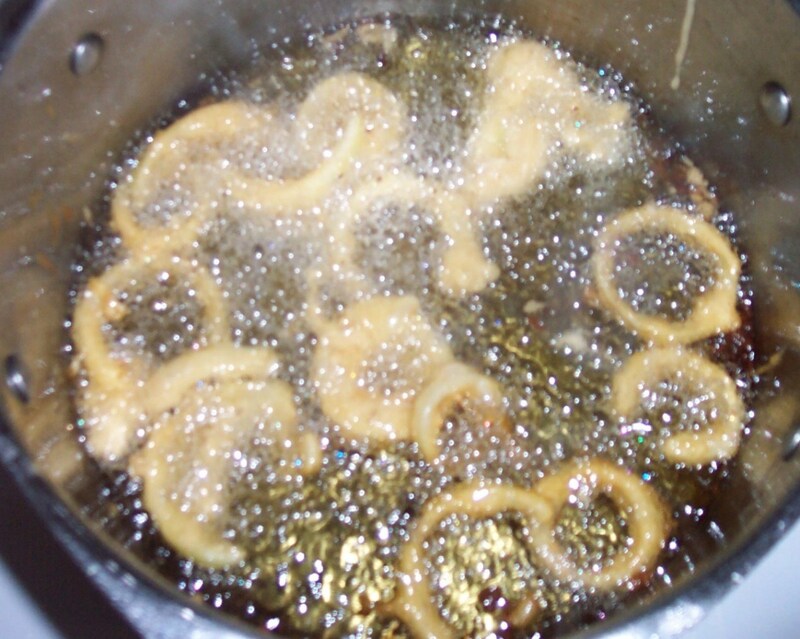 Use a slotted spoon to lift the onion rings out of the oil. Place rings in strainer to drain. If you are using a large, deep pot instead of a deep fryer, follow the safety tips below. Make sure that you do not overfill your pot. When oil becomes heated and when it is frying something, it will bubble up and could boil over onto the stove and onto the hot element, and catch on fire. A pot that is half full of oil contains too much oil for safe deep-frying. Place pot at back of stove. Watch closely to avoid overheating and risk of fire. As mentioned, you do not need high temperatures. Do not leave unattended for any reason. Keep a lid close by, in case of fire, for quick and safe extinguishing. Remove pot from element when you are finished frying to prevent wrong element being turned on accidentally and causing a possible fire. Put pot in a safe spot, taking care to protect any surface and well out of the way of any kitchen traffic. 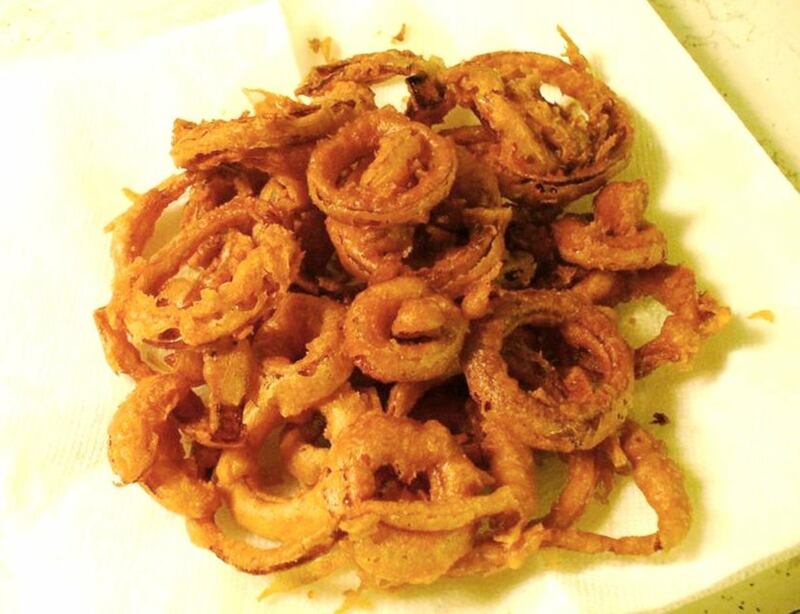 Should You Use a Deep Fryer to Cook Onion Rings? Easy temperature control, which prevents fat from catching on fire. You don't have to "chase" onions rings around in hot fat with a slotted spoon to lift them out. When you use a deep fryer, you cook right in the basket. You lift all your onions rings out at once in the basket. Fat drains into fryer. Deep-fat fryers are designed so that the basket sits up on a ledge and out of the fat, so that everything drains and stays in the fryer. No hot element near to the fat. A fryer offers a safe cooking scenario, when used as recommended. Do not leave unattended. As you would do with a pot, so too, with a deep-fat fryer. Any time you cook with hot oil, never, never, step out of the kitchen for any reason. Place well back from the counter edge and make sure the unit can't be bumped, the cord can't be snagged in clothing, or the unit or cord pulled by young children. Once you are set up to go, deep-fat frying is a fast cooking method that eliminates having to turn on the oven and having to wait while it heats. In most cases deep-fat frying is faster than pan frying. It is important to remember that oil, if overheated, can catch on fire. Never leave oil unattended and always take appropriate steps to ensure safety when cooking with fat. If using a pot, make sure no fat drips onto heated stove element or near to element. How do You Make Onion Rings? These were very good I will be cooking more later! Hi Mandy, it sounds as though your batter may have been too thin or your oil temperature may have played a part. All my batter came off the second i put them the fryer. What did i do wrong? 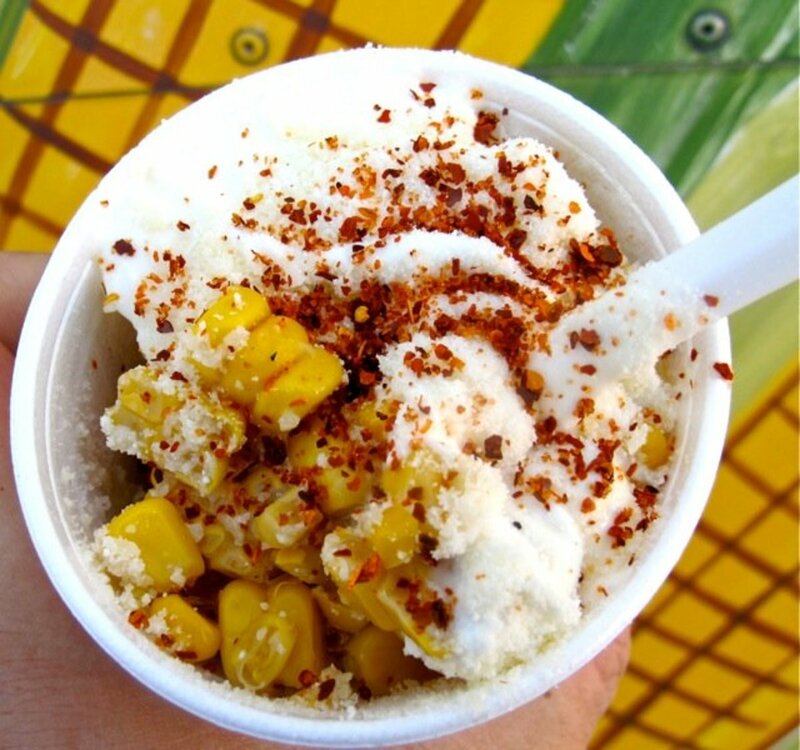 This recipe is LIFE! I never liked onion rings prior to trying these. Thank you. This recipe looks delicious. Thanx. Add some Indian spices and see the difference! Can't wait to try this with onions and zucchini. 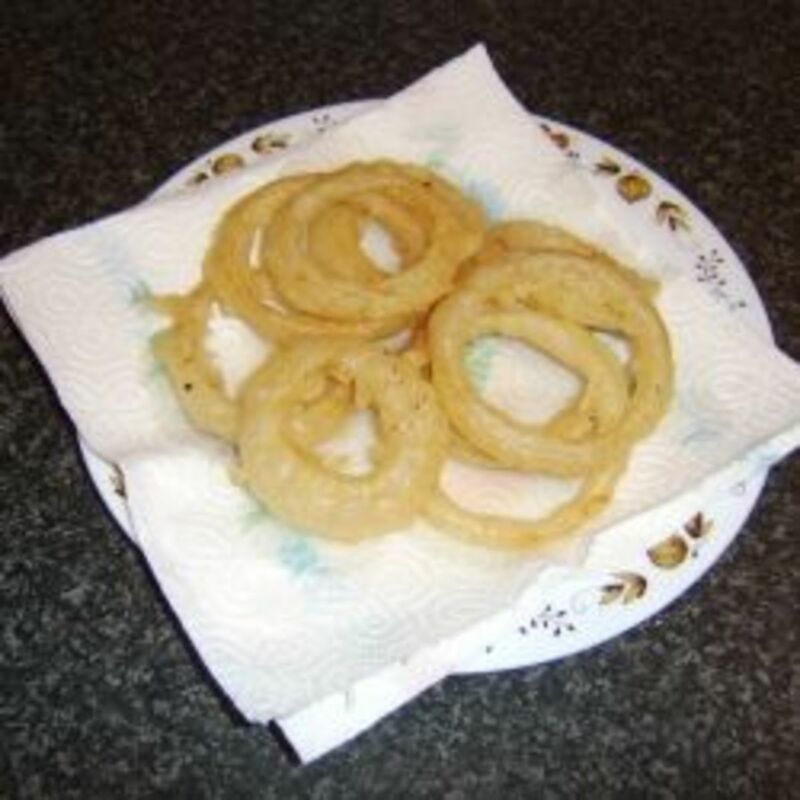 Amazing, Wow onion rings, Perfect dish, I will try to cook it. your explation very simply step by step. the looks like of onion rings delicious. that's great look. Thanks for that. so glad I found this recipe. I didn't have egg or milk like most recipes I found called for. These were great & I even fried a couple of zucchini slices in the batter too. I love this snack idea. Will try it this weekend. Thanks for sharing the recipe. 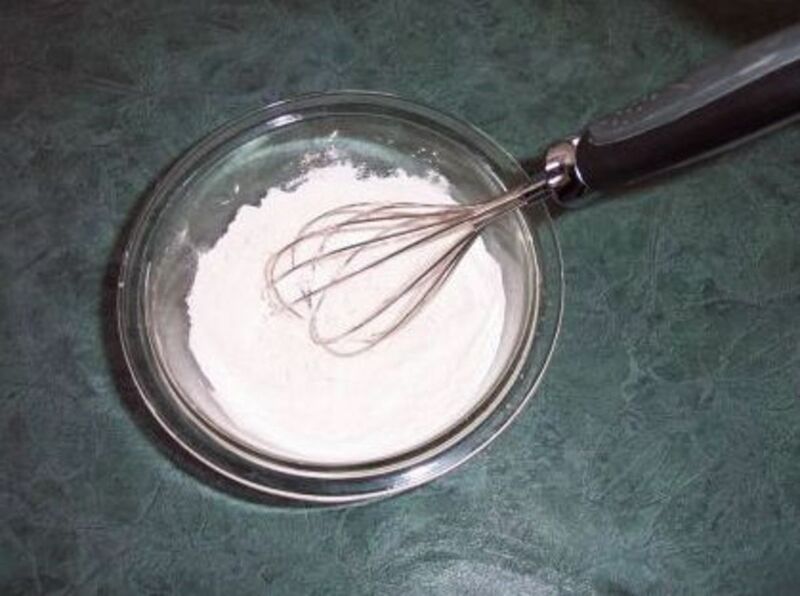 Hi Anglica, try making your batter a little thicker and that should solve the problem. My batter isn't sticking to onions, any suggestions? I have so many large onions right now so onion rings sound good! I'll give this a try, thanks! These look great. 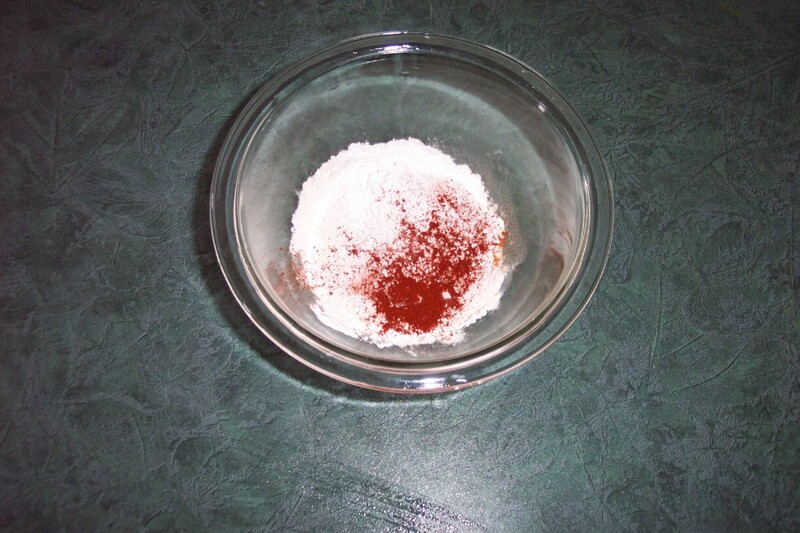 I have always just used a mix from the grocery store so, it will be nice to have my own recipe at home. I voted your hub up and awesome. 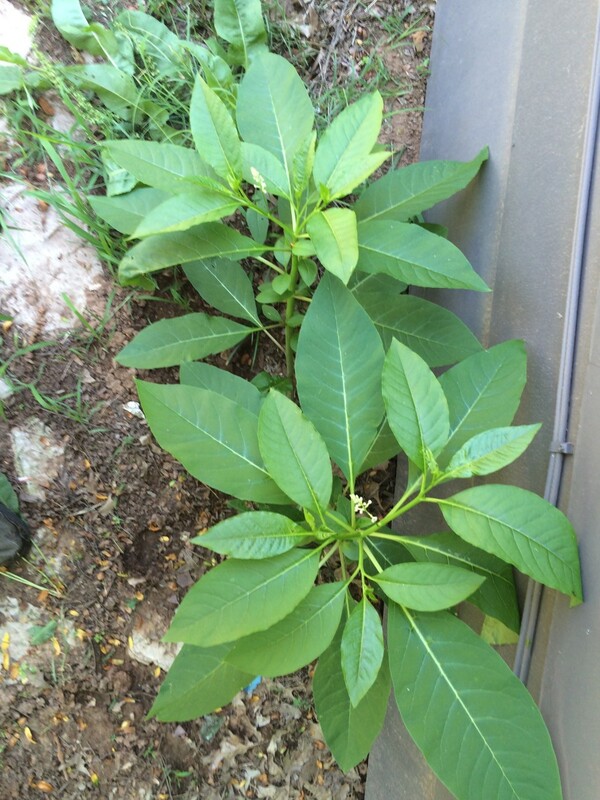 I am going to share on pinterest as well. These are quick and delicious. Can't wait to try other veggies. Hi Jasta, the nice thing about making these from home is that you can make more than the standard portion size you get in a restaurant. I liked your recipe. I doubled the recipe and substituted 3/4 cup milk and 1 egg for the water. It was quite good. Thanks for sharing. I've tried many and these are now the family fav. Thanks! GREAT RECIPE!!! Really easy, no need to dunk twice AND no need for eggs or milk!!! Onion rings taste terrific!!! Cooked in fryer at 375'F for 4 minutes. Yes, boil over of hot oil can occur if the pot contains too much oil, and if what is placed into it has a high moisture content or is frozen. It is always best to drop a few pieces into hot oil and watch how high it bubbles. Never, never place a large amount of ingredients into hot oil. Additionally, you want to carefully separate any pieces that have stuck together and/or turn them over, so they brown on both sides. This recipe I'll definitely try. Frozen onion rings are expensive! Thanks for the recipe. amazing onion rings. this batter produces a light crispy crunch, and the onion is perfectly sweet after cooking. absolutely amazing. 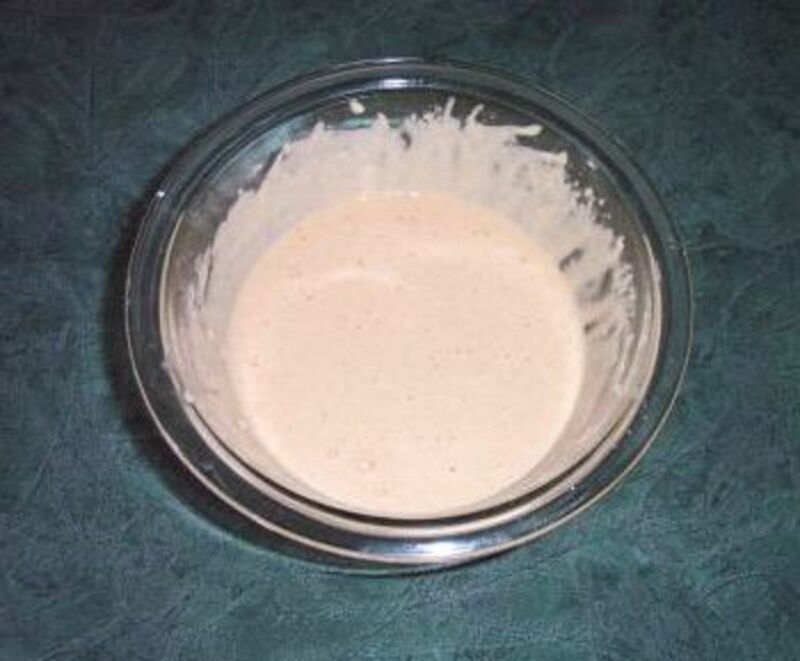 You can use this batter to coat fish or whatever you want to deep fry. Can you use this recipe for battered sausages as well or is it different all together. Just found this- my family LOVED them! Thanks! They turned out very good. my boyfriend and i are trying to cook them right now -- hope they turn out yummy yummy !! thanks imma try this out! !